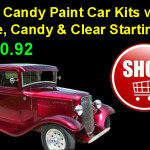 Automotive paint kits make it easy to get the right products for your paint job at incredible savings. 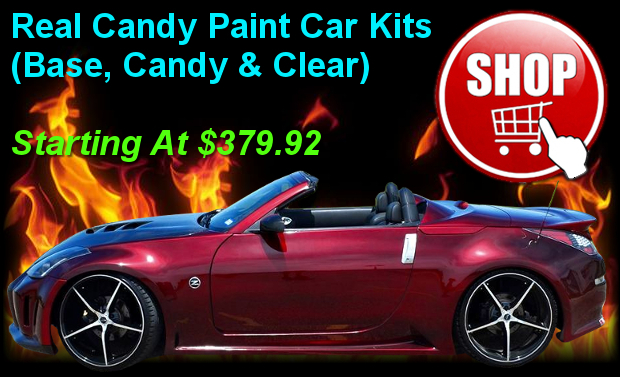 We have kits designed for a wide range of paint types including basecoat clearcoat kits, single stage kits, candy paint kits, pearl paint kits and much more sized for cars and motorcycles. Read on to learn more about our kit options or start the search for your favorite color kit by clicking the icon below. Bundling products is a common business practice across most business sectors as it helps consumers simplify service and payment requirements as well as help suppliers of products and services increase sales with a lower sales acquisition cost. 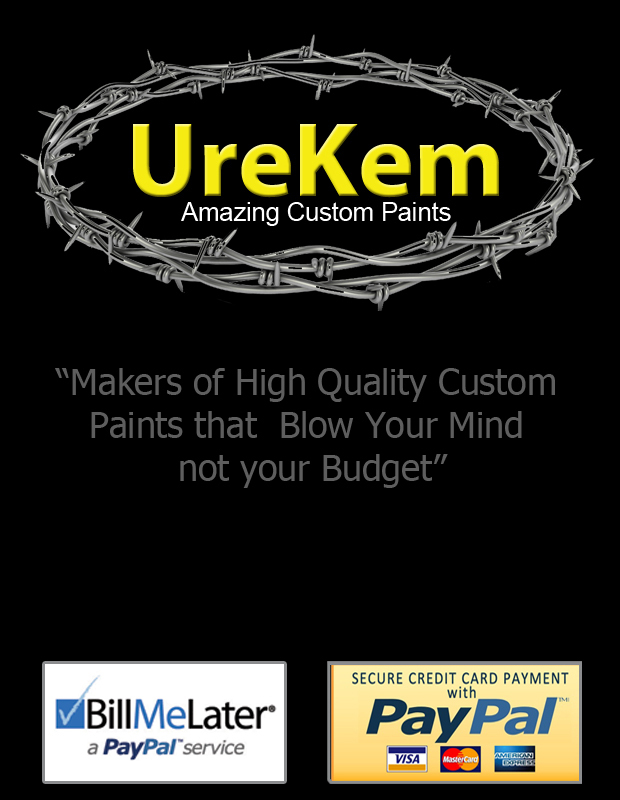 Buying our products in kits is the perfect solution to make things easier for ordering and maintaining the proper balance of paints, clears, activators, and reducers. Many 2K products are only available as a kit with the needed components and we encourage buying other items in kit forms by offering a substantial discount to purchase the kit form. We offer a variety of kit sizes appropriate to your project. In general we have kits designed for motorcycles and cars. 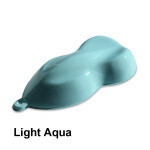 It is the same paint but in different sizes which are more appropriate for the vehicle being painted. 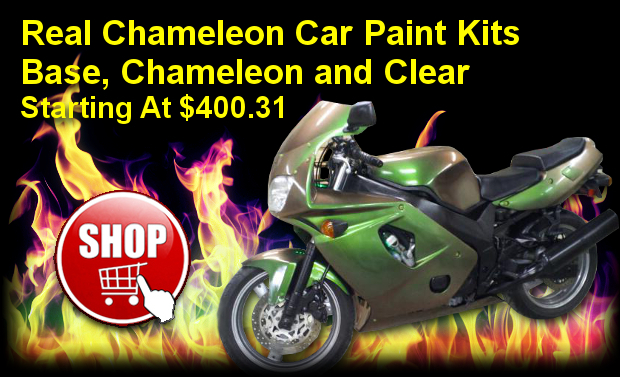 Motorcycle paint kits or “moto” paint kits as you will see them referred to on the site as are built around quart sizes. Quarts of paint are commonly enough material to paint most motorcycles. Larger bikes such as touring bikes with full fairings and saddle bags may need two motorcycle kits in some cases. Car Paint Kits are built on gallon sizes which are needed for covering most production vehicles on the road today. In fact, depending on the size of the vehicle and how much if it is being painted you may find that you need additional material beyond the car kit. There is such a wide variation in the size of vehicles that it is impossible to make a “one size fits all” kit. Our car kits typically handle the outside an jambs on the average mid sized car, jeep, and 2 door pickup. The amount of material used will also be influenced by the color you choose, and your painter’s equipment, technique, and skill level. 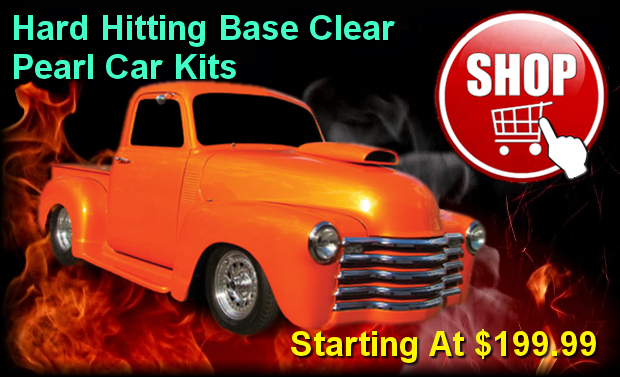 Two stage base clear kits are our most popular kits. As mentioned above, we’ve made is simple to order a kit sized for motorcycles and cars. 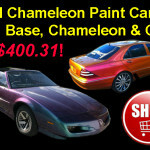 The basecoat clearcoat car kits are designed to paint the outside of the average sized sedan. 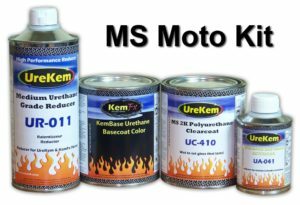 The kits include a gallon of paint, gallon of clear, and all needed activators and reducers for each while the moto kits include a quart of paint, quart of clear and all needed activators at reducers. We have 2 stage base clear kits available in solid colors (colors without a sparking agent), metallic colors, and pearlescent colors. 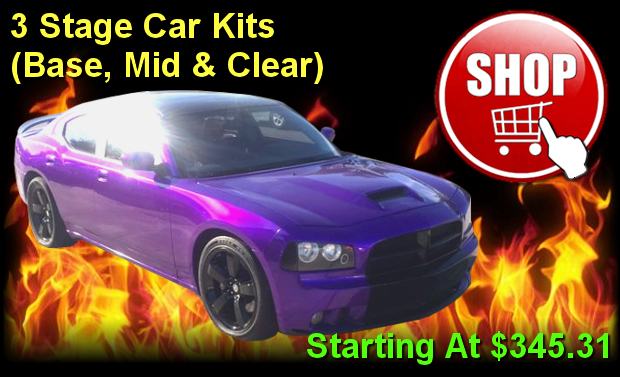 Each kit can be customized with various options for clearcoat, activator and reducer. Customers using our products in LOW VOC regulated areas (mainly in California, Maryland, Deleware, and Rhode Island) have an option for a LOW VOC paint kit compliant in their area. 3 Stage Base Clear kits really should be called base midcoat clear kits because 3 separate layers are required to make the final color. These colors generally offer a unique look not available in a 2 stage or single stage finish. 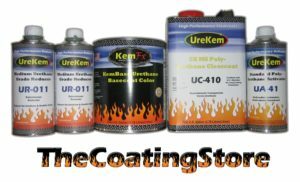 Kits for cars include a gallon of the base color, gallon of midcoat, gallon of clear with required activators and reducers. Quart kits include a quart of base color, quart of midcoat, quart of clear and all needed activators and reducers.